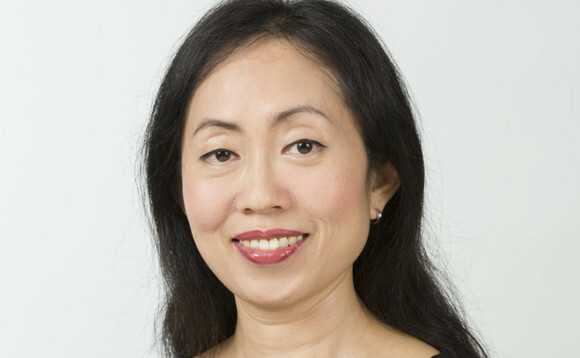 InvestmentEurope has caught up with Lilian Co (pictured), portfolio manager of the EI Sturdza Strategic China Panda Fund, which invests predominantly in China stocks listed in major markets and returned around 60% year-to-date. Co outlines why investors are increasingly turning their eye to China’s growth story. What is your approach to Chinese stocks in the fund? We look for growth stocks at a reasonable price, seeking mispricing opportunities. Earnings forecasts, if they are different from the market consensus, remain an indicator of a possible mispricing opportunity. We have around forty holdings currently, which provides a diversified portfolio. What are your current big plays? Tencent remains a large position in the fund. We are unfortunately underweight because Tencent represents about 18% of the MSCI China index and we are constrained by Ucits-compliance rules in the fund (maximum holding of 10% for any stock). Alibaba is another big play for the fund. We are also heavily weighted in other Chinese technology companies. Tencent is a holding of several equity funds. Is it not a crowded trade yet? Tencent is the largest social network in China and does not have competitors. Some 40% of its revenue is derived from mobile games but the biggest competitive edge of Tencent remains its platform. There are still pockets of Tencent’s platform, such as mobile online advertising, that are either under or not monetised in our view. Tencent goes from strength to strength. Everybody owns it because you cannot afford to avoid the MSCI China’s largest constituent. Is the stock a crowded trade yet? I do not believe so because a number of Ucits mutual funds are underweight Tencent. How do you assess the recent tech IPOs on the Hong Kong stock exchange? That will bring more diversification to the IT sector because there are not many tech names there apart from the top 5. Other big Internet names will be listed sooner or later. However, recent IPOs have been spin-offs of Tencent or involved companies in which Tencent holds a minority stake. You see China going ever more tech? Before 2015, the sectors weighting in the MSCI China index was under 15% against slightly over 40% today. It has become the largest constituent of the index. We saw a shift with Chinese banks and insurances’ weightings in the index that fell to around 23% when they used to form 40% of it before. How do you play the Chinese consuming trends? A few sectors we favour on the consumer discretionary space in the fund at present include education, auto original equipment manufacturers, auto components manufacturers and mobile gaming. Do you have any financial holding in the fund? We do not hold Chinese financials currently. While Insurances have performed well to-date, banks have largely underperformed. It has not cost much not being invested in Chinese financials this year but we are overweight in real estate which is considered a financial play. We like Chinese property stocks because they trade at low valuations and provide very strong dividend yields. Also, they benefit from the consolidation occurring across the sector. Largest real estate companies are gaining market share from small players due to better funding. You can argue the likeliness of a bubble in the China property market, but it is a global phenomenon rather than something unique to China. What is your view on Chinese stock valuations increasing? The strong rally in Chinese equities we have seen throughout the year is a “reversion to mean” story because valuations picked up from a very low basis in 2016. Previously, the Chinese equity market traded at a single digit P/E figure with decent returns on investments. Investors were very sceptical because there have always been concerns towards an eventual hard-landing in China. Neither did they trust the quality of Chinese assets nor their growth. China was overly penalised by global investors before. What changed in 2017 is that the earnings growth recovery has been strong. Also we have seen more inflows coming from mainland China in the market while global investors have not participated much to that rally as they remained dubious. Do hard-landing concerns linger in global investors’ minds? Nobody talks about China’s hard-landing currently. Global investors will have to reconsider their views on the Chinese market over time if China continues to deliver. They have not really looked into China very seriously in the past few years. The negative impact of China’s economic adjustments is almost over, and we have finally seen a corporate earnings recovery not because of some cyclical upturn but because of the benefit of the structural changes brought by these adjustments. 2017 is the first year we can see the rewards of these changes and it will not be the last for sure. China seems a big underweight in global investors’ portfolios. China continues to open itself to the rest of the world, which will be positive on the long term but from a short-term perspective, investors will rather pay attention to corporate earnings growth. What are your expectations for the Chinese economy over the next few years? China’s growth will moderate into next year. Investors should focus less on GDP growth because the government put the accent on the quality of that growth not on the quantity. If China’s GDP growth slows down in 2018, that will not mean that the corporate earnings recovery will slow down too.